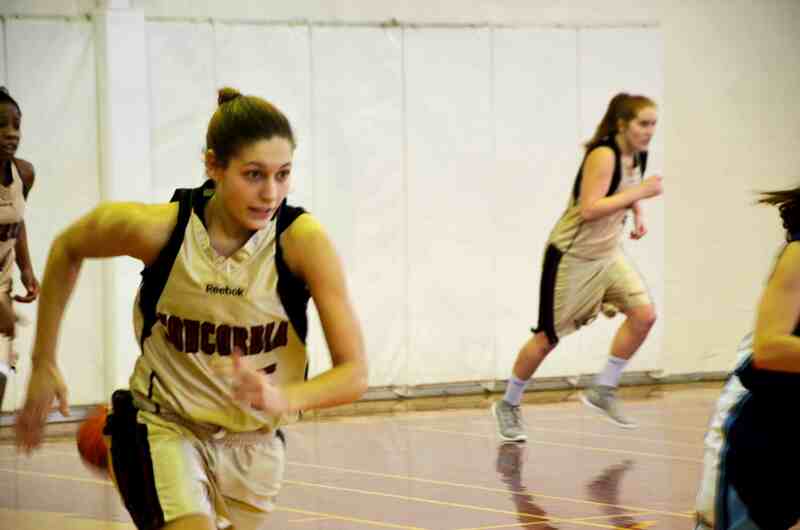 Looking back on the 2012-13 women’s basketball season, the Concordia Stingers can be proud. The season before, the Stingers finished the Réseau du sport étudiant du Québec conference in second place and fell to the McGill Martlets in the championship playoff game. They suffered the exact same fate this year. Concordia started the season in November with four straight wins. Their first loss came against the Laval Rouge et Or on Nov. 30 when the Stingers fell 50-49 in Quebec City. The Stingers managed to find themselves on the Canadian Interuniversity Sport top 10 rankings at one point. For the rest of the season, the maroon and gold had a tough time putting more than two wins in a row together. A three-game winning streak in February was their next best run. The team finished the season with 11 wins and five losses. This was an improvement on last season’s 8-8 record. Last year, an 11-5 record was good enough for first place. Just as Concordia improved, so did McGill who finished two wins ahead. In the playoffs the Stingers had home court advantage in the semi-finals. They hosted the UQÀM Citadins at Concordia Gym on Feb. 27. In the regular season, Concordia won all four meetings between the two sides. The playoffs were not different. ConU won 65-62 and had a chance to face McGill once again in the finals. After trailing most the game, the Stingers had a strong fourth quarter comeback and were only down by a basket with 17 seconds to go in the game. The Martlets hung on for a slim 51-48 victory. The Stingers’ strong season did not go unnoticed at a provincial and national level. Guard Kaylah Barrett was named to the CIS first all-Canadian team for the second consecutive year. First-year forward Marilyse Roy-Viau was selected for the national all-Rookie team. Provincially, Barrett was named conference MVP for the second straight year. She also was a first team all-star for the third consecutive season. Roy-Viau was named as a second team all-star and also made the all-Rookie team. First year guard Tamara Pinard-Devos was also won RSEQ all-Rookie honours. It was not just players collecting silverware. Head coach Keith Pruden won RSEQ Coach of the Year. Concordia had a young team this season. Five of 12 players on the team were rookies. Three more were sophomores. Pruden did well to recruit these rookies and showed plenty of confidence towards them all season long. Given the team’s success this past season, Pruden will be able to keep the same team for the next few years. The women’s basketball team has a bright future ahead, having already showed their potential this past season.